Thanks to a limited-time deal at Victoria’s Secret, you can buy one Valentine’s gift and get another for free. 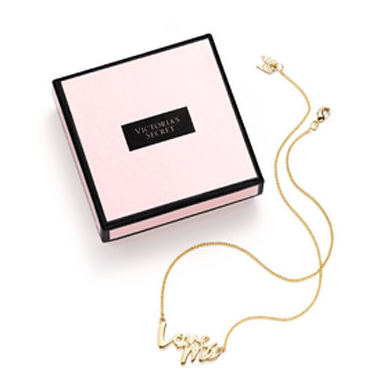 The women’s intimates store is currently offering a free Love Me necklace with an eau de parfum purchase of 1.7 ounces or larger. So pick a fragrance the lady in your life will love and you can snag a free necklace to surprise her with, too. Add coupon code “LOVEME” at checkout to take advantage of this offer. This promotion is valid through Feb. 2 at 11:59 p.m. Pacific time, while supplies last. The offer excludes clearance items.